Some days you don’t want to save the world. Running around with a huge gun and shooting aliens or zombies or people who look at you funny just loses its appeal at times. Some days you just want to wander around a farm, raising vegetables and cattle and generally kind of wasting time. If that sort of mindless relaxation is what you’re looking for, Stardew Valley is exactly the indie game you need. 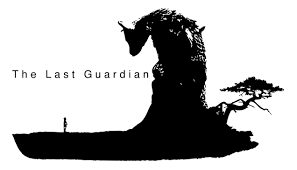 Why The Last Guardian wasn’t at Paris Game Week! Of all the games stuck in development hell, The Last Guardian has been somewhere just below Half-Life 3 when it comes to fan expectations for years now. Development started all the way back in 2007 and received a lot of positive attention when it was revealed two years later. Steam’s not always great at judging what it should throw at you. It tries to tailor itself to your preferred genres, but it still has to include free-to-play games and big AAA titles, whether you want to play those or not. And, of course, sometimes it throws a game at you about a potato manning a smithy. …What? Seems plausible to us.